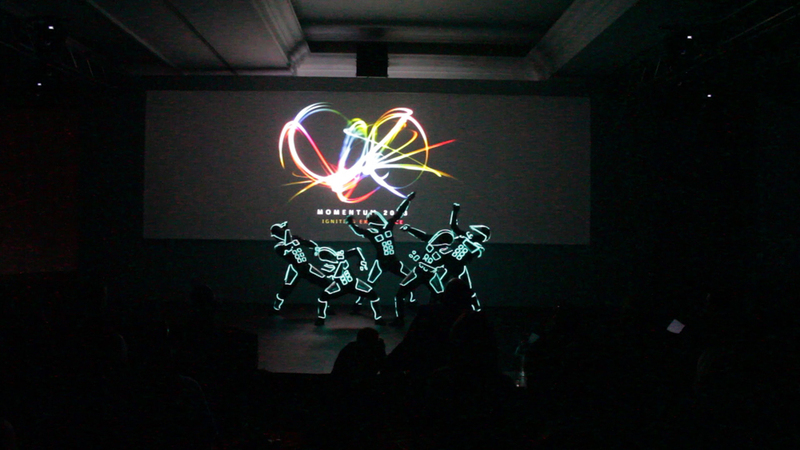 Our client commissioned us to create a performance to open their Annual World Conference for their top distributors. 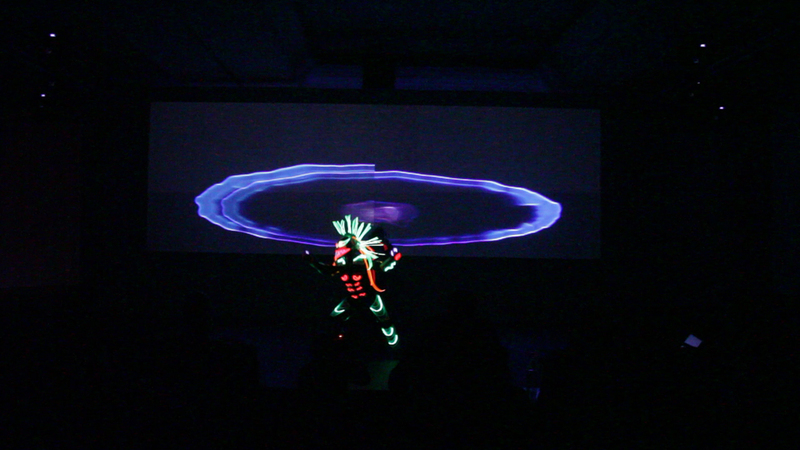 They wanted a customization in the graphical sequence of the last minute of the performance, where trons created the colorful and wavy logo designed for the event. The three front projection layout was perfect to design and animate this sequence that resulted in the ideal final image for our client's launching logo opening performance.